If you’re thinking about window treatments, you probably know there are more choices out there than ever before. Here at Window Treats, we keep up with the latest trends in window fashions so you don’t have to! New styles, designs, and textures of shades, blinds, and shutters offer functionality and designer-quality styles. These days, it seems like there is an app for everything from remembering your grocery list to booking your next vacation. Now, thanks to the technology innovators at Hunter Douglas, there’s also an app that allows you to control your window coverings! 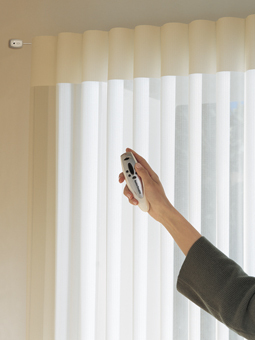 Window covering automation is as easy as a swipe and tap with the Platinum™ App from Hunter Douglas. 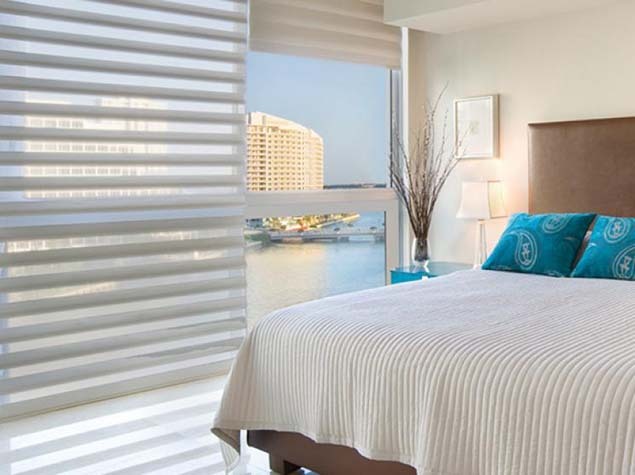 As your local Hunter Douglas dealer serving New York and New Jersey, we’re proud to offer a full line of motorization services, including systems compatible with the Platinum App. Why Choose Automated Window Treatments? 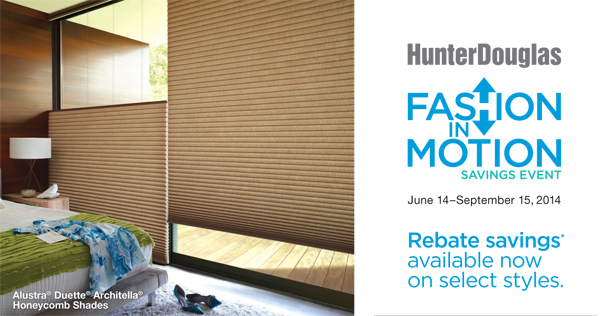 For a limited time, we’re offering excellent rebates of $50 to $100 per unit on select motorized window fashions. 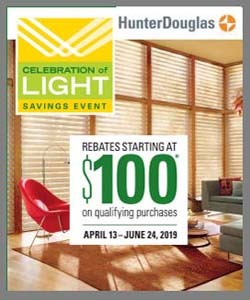 As your local Hunter Douglas Gallery in the New Jersey and New York areas, we’re proud to offer the latest technologies in window treatment motorization. 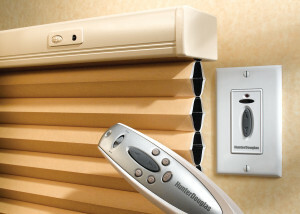 Our PowerRise and PowerGlide motorized systems allow you to control your blinds and shades with the touch of a button. Stop by our showroom in Red Bank, NJ, to see full size displays of our automated window fashions. Motorization systems on sale through Sept. 15, 2014, include PowerRise and PowerGlide. This is the last of this important series on how to choose the perfect window treatments for your needs. These are questions you should think about prior to setting an appointment with your custom drapery professional. The first question concerned WHY you want to cover your windows. The second question was BUDGET i.e. how much are you looking to spend. The third question is…. 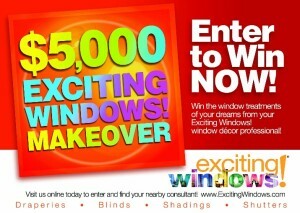 $5000 Exciting Windows Sweepstakes Offer! $5000 Exciting Windows Sweepstakes Offer is back! You can register until August 30th 2014 and the winner will be drawn on or about October 1st 2014. This is a GREAT opportunity to get the custom curtains and draperies you really want. Click on the image below to register now!